We’ve been remodeling bathrooms in the Potomac, MD area for over 35 years. A typical small bathroom remodeling job includes new flooring and shower tiles, new vanity sink and toilet. 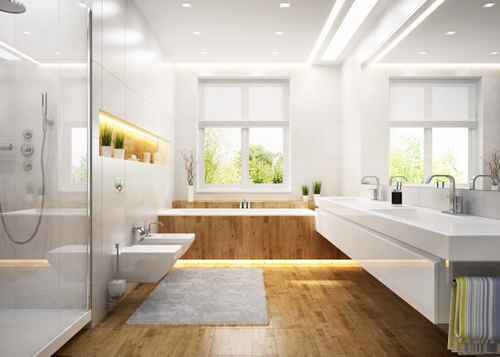 Bradley Construction also has a years of experience with large scale bathroom remodeling. For some ideas, go to Kohler’s web site to view faucets, toilets and sinks etc. You can also go to the National Kitchen and Bath Assn.’s web site for additional information on your project as well as our portfolio section for additional information on your project..Contact us today and let us turn your bathroom into an oasis you deserve. Bradley Construction – Bathroom remodeling in Potomac MD since 1978.